This heavy duty punch features durable all-metal construction that will last a lifetime. The high quality, sharp cutting punch head makes clean, 1/4" holes. Up to 32 sheets of 20 lb letter or legal size paper can be punched at one time. 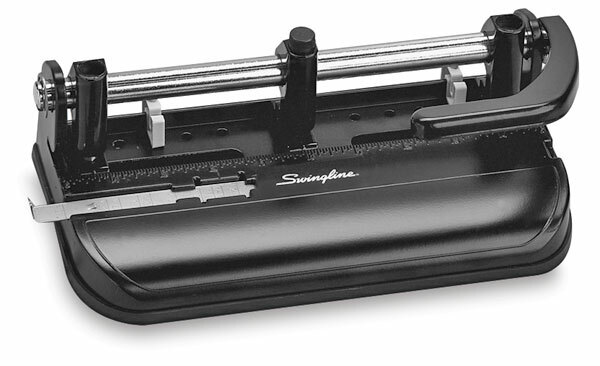 ® Swingline is a registered trademark.